Previously, investigators could receive statistical support, but there was no consolidated statistical resource available to faculty and students at the University of Kentucky. Support was provided from isolated statistics and biostatistics faculty located in different departments and different centers, until the creation of the Applied Statistics Lab (ASL). The primary purpose of the ASL is to build collaborative bridges between statisticians and other investigators – not simply serve as a consulting shop. 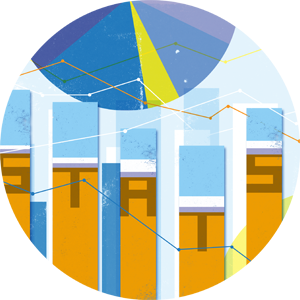 Our goal is to improve breadth and quality of statistical support for scholarship across the University. To provide direct faculty involvement from the Departments of Statistics and Biostatistics in the design and analysis of experiments throughout the University. To consolidate and enhance existing statistical support services, which had been distributed in isolated locations. These services will be enhanced by (a) providing more efficient faculty supervision, and (b) allowing each individual currently served to have access to the full array of expertise available. To foster truly collaborative research between researchers who develop quantitative methodology and those who use such methodology in their work. This will increase the number and quality of interdisciplinary scholarly articles and grant applications. Funding for the ASL comes from investments from colleges, departments, centers, infrastructure grants, and central administration, Limited access is available for students, staff, and faculty who are not affiliated with a contributing partner. If you are not currently an ASL partner, please contact us and find out how to become one. Mentoring and training are key in the organizational model of the ASL. For some requests, ASL graduate students are partnered with an experienced faculty/staff member who mentors the student through all stages of the project. On occasion, an experience graduate student is paired with graduate student in training to carry out project requests.